Although Cash is often classified as a country artist, her music draws on many genres, including folk, pop, rock and blues. In the 1980s, she had a string of chart-topping singles, which crossed musical genres and landed on both C&W and Top 100 charts, the most commercially successful being her 1981 breakthrough hit "Seven Year Ache", which topped the U.S. country singles charts and reached the Top 30 on the U.S. pop singles charts. In 1990, Cash released Interiors, a spare, introspective album which signaled a break from her pop country past. The following year Cash ended her marriage and moved from Nashville to New York City, where she continues to write, record and perform. Since 1991 she has released five albums, written two books and edited a collection of short stories. Her fiction and essays have been published in The New York Times, Rolling Stone, The Oxford-American, New York Magazine, and various other periodicals and collections. She won a Grammy in 1985 for "I Don't Know Why You Don't Want Me," and has received nine other Grammy nominations. 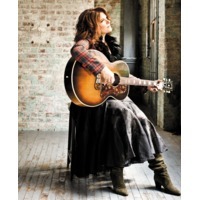 She has had 11 #1 country hit singles, 21 Top 40 country singles and two gold records.